Unleash Your Inner Belly Dance Diva! Eve loves doing Girls Night Out and Bachelorette Parties! We have a glamorous, fabulous, flirty, fun night planned for you, full of laughs and adventure. 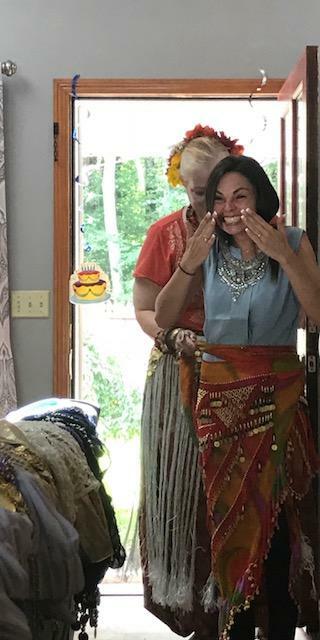 You and your friends receive a gorgeous invitation outlining your fabulous tribal belly dance adventure. You all receive a gorgeous sparkly bindi, and huge tribal hair flowers to put you in the mood for your exotic adventure. 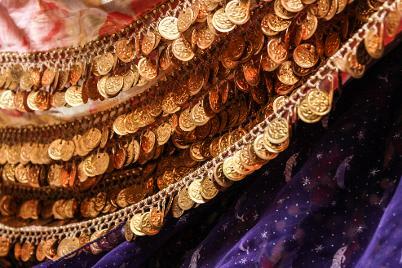 We dress you all in a sparkly, jingly coin scarf and veil (ask for pricing if you would like to keep these). Hear a short, fun, fascinating story of the history of belly dance while we stretch. Learn 5-8 easy to remember belly dance sequences filled with shimmering shimmies, sinuous slides, exotic rolls and scintillating undulations that will have you rocking your inner Belly Dance Diva in no time! Keep a beautiful printed outline of the dance sequences you learned so you can practice at home or on the dance floor. 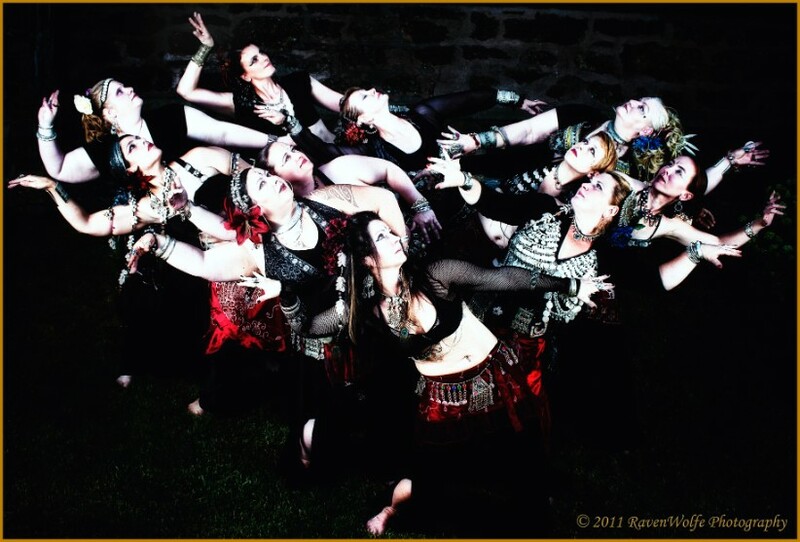 Watch the Eve Tribal Belly Dance Company dance for you in a scintillating ten minute performance. Cost: $150 for 15 guests in the central Massachusetts area, slightly more outside of that area. We love kids, and belly dance is a super way to boost girls' self esteem, confidence and body image. A fabulous G-rated story about the history of belly dance. We teach 4-6 easy, age appropriate belly dance sequences filled with locks, pops, snaps and circles that will keep everyone dancing along. A 10 minute performance from the Eve Tribal Belly Dance Company. Cost: $150 for 15 guests in the central Massachusetts area, slightly more outside that area.